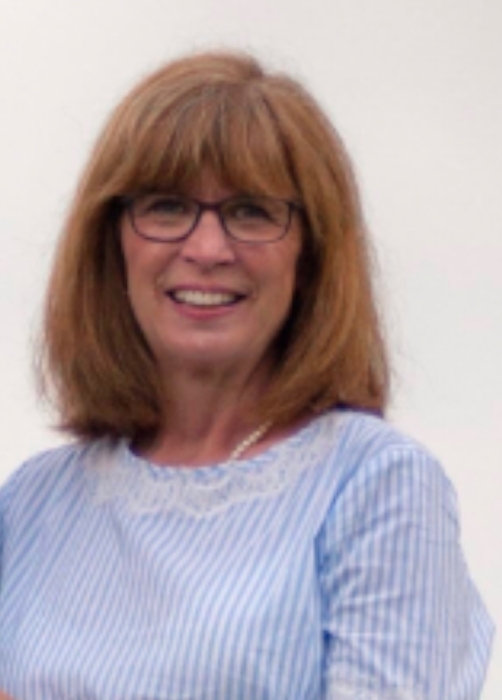 Patricia P. “Patty” DeBruin, age 62, passed away peacefully and surrounded by family at her home on Saturday, March 31, 2019. She was born in Pittsburgh, Pa. on September 12, 1956 and was the daughter of Robert Parham and Carole (Walter) Eckhardt, who survive her. Patty graduated from The Ohio State University in 1978 with a B.S. in Home Economics and went on to teach the subject at Amanda-Clearcreek High School and Fisher Catholic High School. She was the office manager of Feeder Creek Veterinary Svcs. in Millersport, Oh. for 35 years and advocated for small business through the National Federation of Independent Business and the Buckeye Lake Chamber of Commerce. Patty was also passionate about agriculture; she served as the Southeast Women’s Trustee for the Ohio Farm Bureau Federation and was a member of the executive board of the organization for 12 years. She served as a 4-h advisor, member of the Ohio Cattlewomen’s Assoc., member of the auxiliary committee for the Ohio Veterinary Medical Assoc., and a participant in Ohio State’s LEAD program. Patty is survived by her husband, Steven DeBruin, with whom she traveled the world and shared a loving marriage for 41 years. She is also survived by their children, Elizabeth Cole, Anna (Andrew) Hubbard, Megan (Curtis) Moreland, and Caitlin (Joseph Rehm) DeBruin; eight grandchildren: Kaitlyn Hubbard, Dixie Hubbard, Lilith Cole, Bentley Moreland, Cora Cole, Steven Hubbard, Elliott Moreland, and Chloe Moreland. Also surviving are her siblings Cynthia Burkhardt, Sally Bluck, Virginia Bagnall, Robert Parham (Jr.), Richard Parham, Amy Parham, and Rhett Parham. Patty was preceded in death by her brother William Parham and sister Susan Parham. Patty is survived also by many nieces and nephews. In lieu of flowers, please consider making a donation to the Lung Cancer Research Fund at The James OSU Cancer Hospital (https://www.giveto.osu.edu/makeagift/OnlineGivingDonation.aspx?Source_Code=DEV_AG-MED_CHRI-JamesWeb-ON-S&amp;Fund=3060590) or to the Patty DeBruin Scholarship account at Commodore Bank. Visitation will be held Wednesday, April 3 from 2:00-8:00 p.m. at Johnson-Smith Funeral Home in Baltimore, Oh. A Funeral Mass will be held on Thursday, April 4 at 11:00 a.m. at Our Lady of Mt. Carmel Catholic Church in Buckeye Lake, with Fr. William A. Hritsko Celebrant.